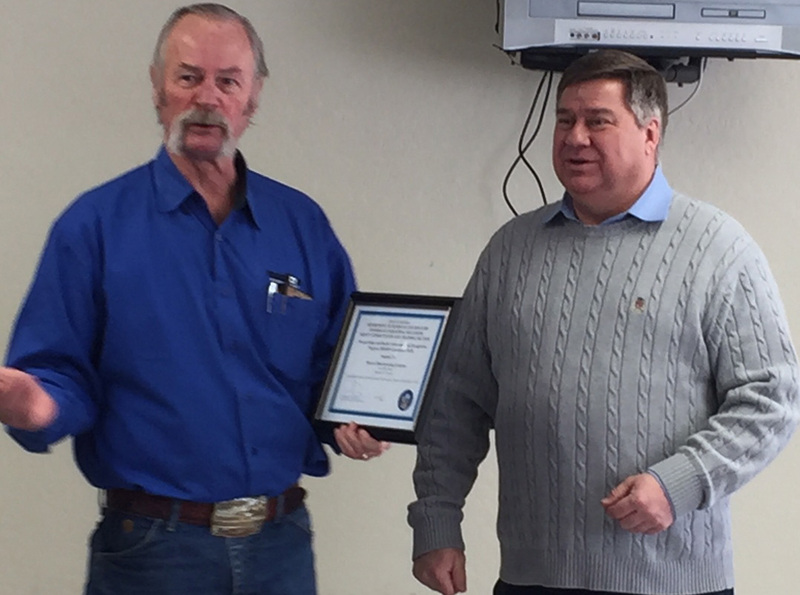 Minden, NV- On January 26, 2018 Maxton Manufacturing Company was presented with a certificate renewing its SHARP status by Joseph Giddings, Jana Morales and Jake Huber of SCATS. Also, in attendance for the event from Pro Group Management, Inc NV were Rob Reed, Mike Olsen, Kitt Watkins, and NV State Senator James Settelmeyer. “Congratulations to Maxton Manufacturing Company for continued success in safety management. This great achievement is earned every day, by all employees at every level. Keep up the excellent work and your safety culture will continue to thrive. Be proud, work safe, and enjoy continued SHARP Status with the Occupational Safety & Health Administration,” said Rob Reed, Manager Safety Services for Pro Group Management. Some of the benefits of attaining SHARP status include reduced worker’s compensation costs, removal from OSHA impromptu inspections for two years, an enhanced open channel of communication with OSHA, and the positive employee recognition for this achievement. This puts Maxton Manufacturing in an elite group rated above the industry standard on a national level. “On behalf of Maxton I would like to thank Pro Group and SCATS for their support and guidance towards achieving this SHARPS certification renewal. Additionally, I would like to acknowledge the dedication of all our employees working as one to maintain a safe workplace enabling Maxton to pursue and reach this valuable goal. Lastly, thanks to Senator James Settlemeyer for joining us on this day of recognition. Great job by all,” said Kirk Muller, Maxton’s Production Manager.